Best Paper Award at KTTO 2014 was rewarded to Dr. Petr Matoušek, Ing. Martin Kmeť and Bc. Martin Basel for their paper "On-line Monitoring of VoIP Quality Using IPFIX". Best PhD Student award of ICETE 2014 Doctoral Consortium was awarded to Libor Polčák for his contribution titled "Challenges in Identification in Future Computer Networks" supervised by Miroslav Švéda and Petr Matoušek. The Humies (Human Competitive Awards in Genetic and Evolutionary Computation) is a competition of innovative designs created by evolutionary algorithms. The authors were awarded for the evolutionary synthesis of bent Boolean functions (Bent Function Synthesis by Means of Cartesian Genetic Programming). Dear Prof. We would like to invite you as Invited Speaker in Conferences in Salerno, Italy, June 3-5, 2014 The Conferences are organized and sponsored by 3 prestigious universities: * University of Salerno, Italy (In the buildings of this University the conference will take place) * Kingston University London, UK * International Black Sea University, Tbilisi, Georg Our Conference 5th International Conference on Circuits, Systems, Control, Signals (CSCS '14) http://naun.org/cms.action?id=7056 have always world renowned Speakers and offer publication in the extended version of your paper in 6 ISI (Web of Science) Journals - with Impact Factor from ISI - after the conference. The committee awarded Jan Hlavička Prize for outstanding results during PhD studies presented at seminar "Computer Architectures & Diagnostics" for PhD students, Malá Skála, 2014. Josef Hlávka's Price for the best students and graduates of Prague public universities, Brno Technical University and young talented workers from Academy of Sciences of the Czech Republic. 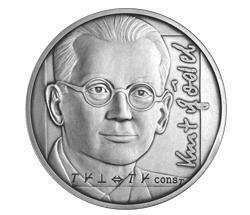 The Predator tool for automated shape analysis of programs with dynamic linked data structures has been awarded the prestigious Kurt Gödel medal at the FLoC Olympic Games 2014 for its successes in three consecutive years of the international competition in software verification SV-COMP. The Predator and CPAlien tools being developed by the VeriFIT group for automated analysis and verification of dealing with pointers and dynamic data structures participated in a successful way in the international software verification competition SV-COMP'14 associated with the prestigious conference TACAS'14. In particular, Predator won the silver medal in category Heap Manipulation and the bronze medal in category Memory Safety. Moreover, in these categories, it achieved the best result among tools with a sound treatment of dynamic memory. In addition, the new tool CPAlien scored 4th in the Memory Safety category. The Rector's Award for excellent results in Master study programme and scientific research. The Rector's Award for excellent study results. The Rector's Award for excellent scientific research. Thesis of the Year is focused on support of IT students.